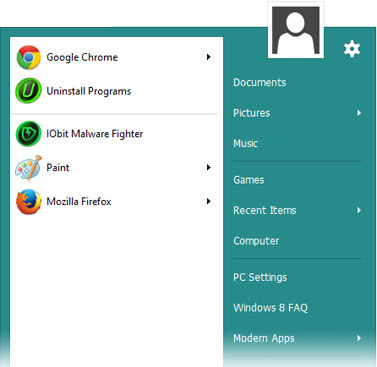 IObit Start Menu 8 is a free Windows 7 style start menu designed for Windows 8 and Windows 8.1. 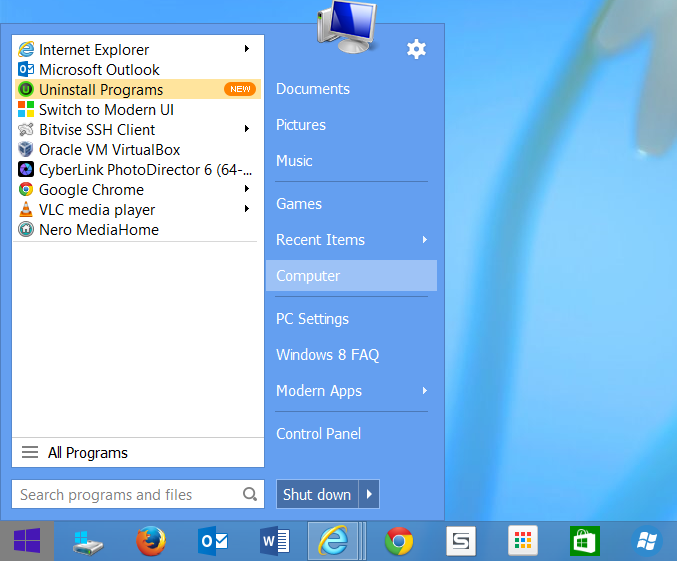 It offers the option to skip Modern UI, allowing users who only work on desktop to boot to Windows 8 desktop directly. Version 2 includes options to display recently opened applications and ability to manually pin shortcuts and executables to the start menu with a right-click. Other new features include customisable transparency, syncing of user and account pictures and high DPI support. Looks like a child made it in MS Paint, what's with the dodgy fonts? I think they tried to make the start menu as simple as possible. It looks good to me. Btw, what's wrong with the font? A very nice alternate to Stardock Start8. The text in the screenshot is as big and they are in my Windows 7 start menu. I have set my DPI to Medium (125%). May be OP is also using high DPI.